Season 4 of Fortnite launched today, and with it comes the absolute destruction of Dusty Depot, a plethora of superhero themed items, and a new low gravity game mechanic. For the past month or so, speculation has surrounded the mysterious comet looming over the skies of Fortnite. While many believed a meteor would strike Tilted Towers, a more recent theory that suggested it would hit Dusty Depot seemed to have been correct. While Dusty Depot was struck, only half of it was destroyed. Now, in its place is Dusty Divot, a closed off facility that seems to be trying to restore the area. Smaller meteorites broke off from the larger one and landed at several different locations on the map. For example, there’s a crash right in the middle of the prison, another east of Junk Junction, and there’s one west of Fatal Fields. 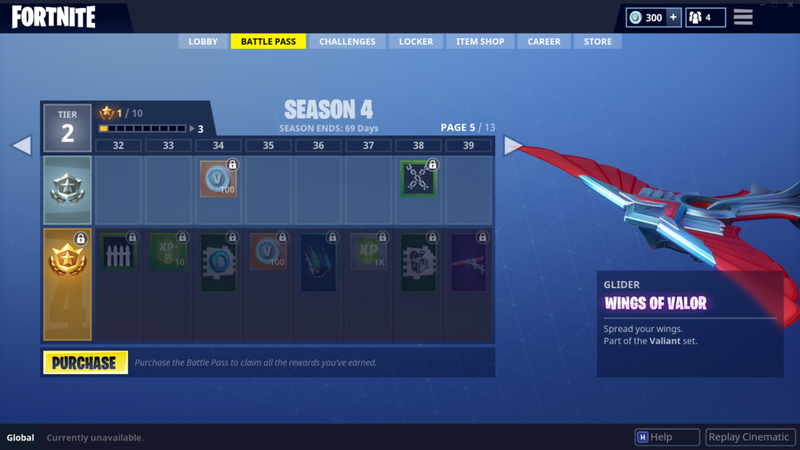 Other things have been also changed with the map of Season 4. For example, Moisty Mire has a new structure in the middle of it, and a mysterious building looms south of Lonely Lodge. Epic Games also added a new named location called Risky Reels, which is the place featured in the Season 4 release trailer. It’s a drive-in theatre with dozens of cars scattered around. Epic Games introduced a new game mechanic as well. In every meteor crash site, consumable Hop Rocks are scattered around which lowers the player's gravity. 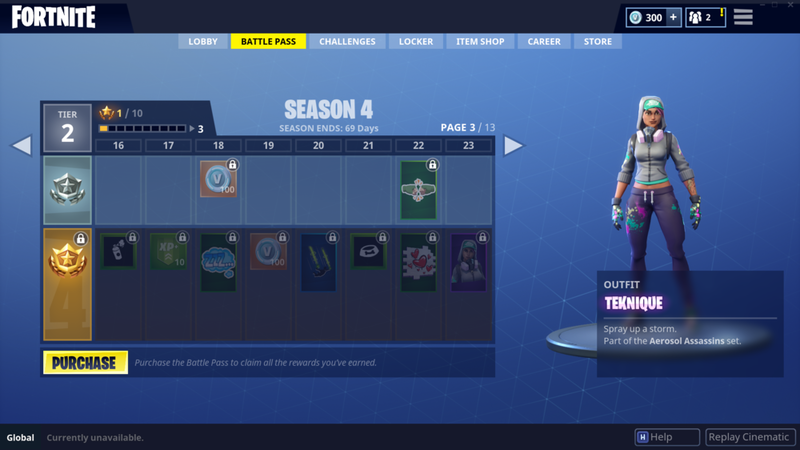 With Season 4 comes its new Battle Pass packed with over 80 cosmetic items. The seven outfits that have been added to the Battle Pass are: Carbide, Battlehawk, Teknique, Zoey, Valor, Squad Leader, and Omega. Additionally, there are two backbling, three gliders, two harvesting tools, five contrails, 15 emoticons, nine backgrounds, 17 banner icons, and 20 sprays—a new type of cosmetic. Sprays allow the player to place a custom design on any solid structures in front of them. 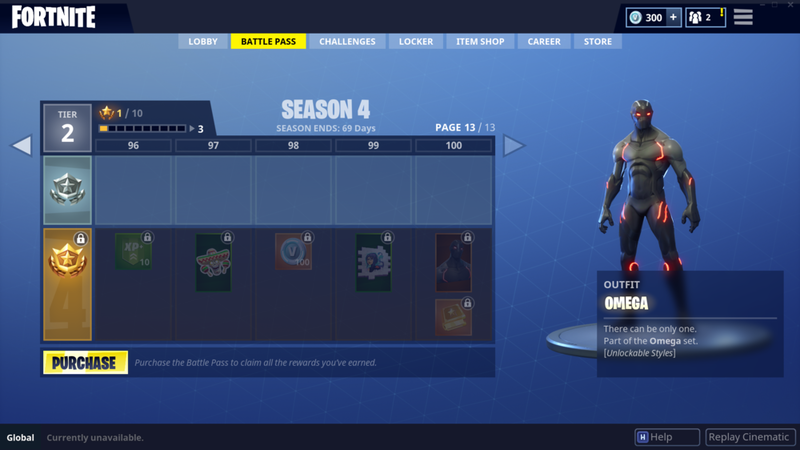 The Battle Pass also offers players special challenges to unlock multiple styles for both Carbide and Omega, which gives these two outfits interchangeable body parts.